As the League moved into the 21st century, it’s membership was at an all-time high – 1394 members (475 actives, 118 provisionals (new members), and 801 sustainers)! 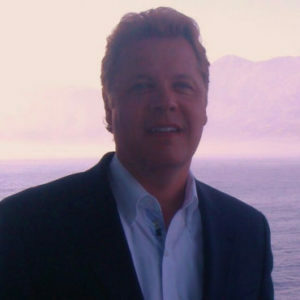 Taking advantage of the latest technology, JLR moved into the 21st century with its own website – www.jlrichmond.org, where members could now communicate with the League and sign up for their Clothes Rack shifts. To help members learn the “ins and outs” of this new technology, a website launch party was held at the Mayo-Carter house to tour the new website with its designers! 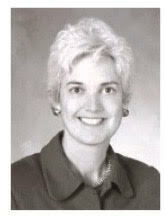 The League also started the new century with its first Executive Director, Jane Helfrich (also a Past President and Sustainer). As JLR grew, so did the need for more staff. 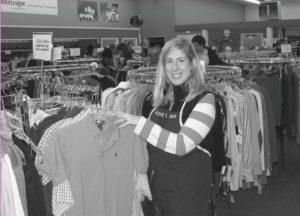 In 2002, Ann Michele Sweeney, a Sustainer, joined as JLR’s Controller, and in 2003, Mark Gaddis became the Director of the Clothes Rack. We can’t imagine the JLR without them! 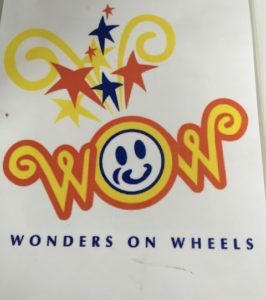 The League marked the start of the century with a new signature project – Wonder on Wheels (WOW!). WOW! was an enrichment program, developed in conjunction with Richmond Public Schools, for at-risk children in grades K-3. The goals of the program were to foster a love of learning and to strengthen their self esteem through encouragement and learning success. 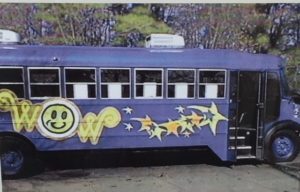 A private foundation gave the League $50,000 to retrofit an old school bus to serve as the WOW! bus. This brightly colored bus attracted the attention of children of all ages. 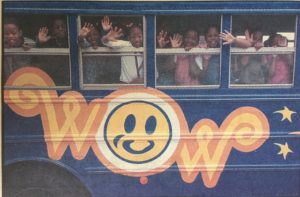 In its inaugural year, the WOW committee conducted 30 free evening and Saturday programs, and provided meals to over 100 children and their families at the pilot schools, Norrell and Redd Elementary Schools. Knowing the importance families play in the success of their children, parents and siblings were also included in the program with a curriculum specially designed for them. The WOW! Program enabled JLR to take students back-to-school shopping, to the Children’s Museum, and to the theater. By its fourth year, this program was providing enrichment opportunities for over 1000 children a year! By the mid-2000s, this program doubled its participants! 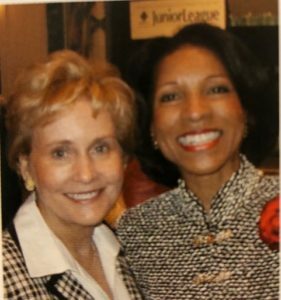 In 2001, JLR celebrated its 75th anniversary with the creation of the Volunteer Achievement Awards to recognize the unparalleled contributions of women volunteers. These awards, recognized the often unsung efforts of outstanding women volunteers whose work had changed the Richmond community, regardless of whether they were members of the JLR. Some of the outstanding recipients were from Communities in Schools Richmond, Make-A-Wish Foundation, Fan Free Clinic, and Lewis Ginter Botanical Garden. JLR also remained focused on child advocacy. 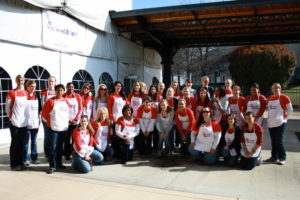 League members participated in Child Advocacy Day at the Capitol in January 2001, joining over 400 participants from Virginia. JLR hosted the event, along with the Junior Leagues of Virginia State Public Affairs Committee (SPAC), the Action Alliance for Virginia’s Children and Youth, and the Virginia PTA. In 2006, JLR sponsored a Legislative Training Day, which was hosted by the VA SPAC. This conference provided participants with “Advocacy 101” training, providing valuable information on topics such as how to track state legislation. 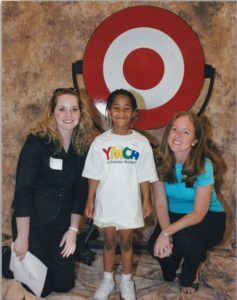 During the 2000s, the League continued to participate in the YMCA’s Bright Beginnings program. 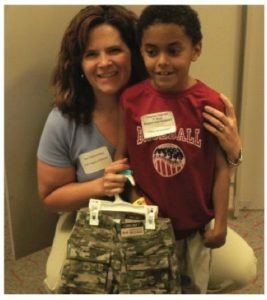 This program matched a JLR member with a student for an outing to a local store to purchase back-to school items. 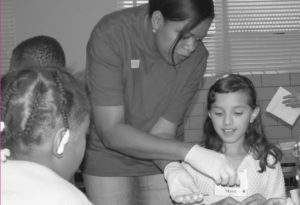 In 2002 alone, 440 JLR volunteers helped over 300 children get ready for school. 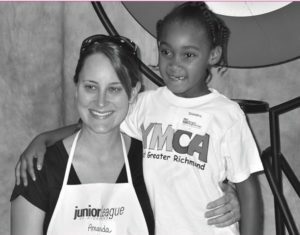 JLR contributed $15,000 and countless hours to the Richmond-area YMCA, becoming its largest non-profit partner. Knowing that there was more power in numbers, JLR continued to partner with like-minded area organizations to collectively increase our impact on the community. JLR partnered with the Richmond area Links Chapters and the Junior Federated Woman’s Club of Chester to coordinate the first all women’s build project for Richmond Metro Habitat for Humanity. Successful fundraisers continued to enable JLR to give back to the community. 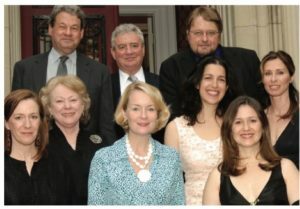 In 2003, the Book & Author dinner garnered a new presenting sponsor – Verizon – and in 2006, JLR celebrated the most financially successful Book & Author event in its history! The League also started a new program, Junior Book & Author. 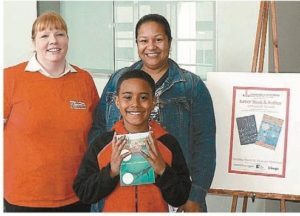 This program, targeting middle-school grades, provided the students with the opportunity to meet an author who wrote books for their ages! Authors visited several Richmond schools and the JLR provided their books to the students for free. 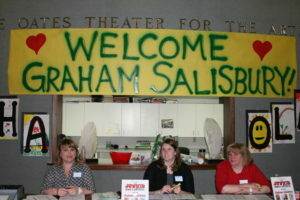 In 2012 alone, over 2200 students had the opportunity to meet and ask questions of a “real author.” In addition, over 500 books were given to eager young readers! 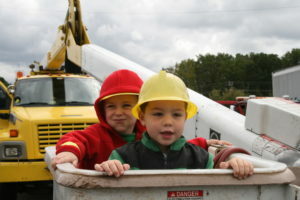 In 2006, JLR began a new fundraiser that was a great success from the very beginning – Touch a Truck! 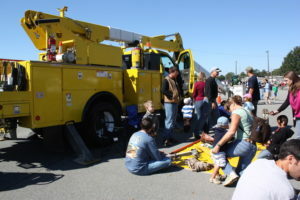 Touch a Truck, a family event for families and children of all ages, lets kids climb on trucks, explore heavy machinery, visit emergency vehicles, meet local heroes, get their faces painted, shop with local vendors and so much more. In its 12th year, this successful and much anticipated event continues to enable JLR to impact the community. 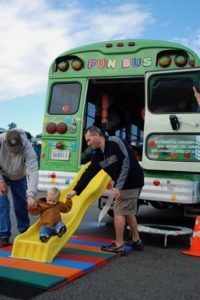 Funds raised from this event are returned to the community, and as an example, in 2017, JLR was able to provide a day of fun for our community partners. 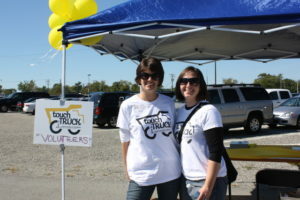 JLR gave free admission and food at Touch a Truck to over 200 East End families. Fun was had by all! By the mid 2000’s the Clothes Rack was the place to shop! 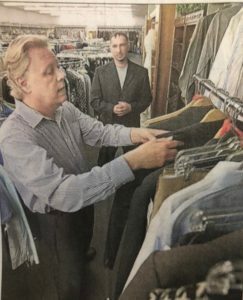 The League was able to purchase the building that housed the Cary Street location and open a second Clothes Rack in Stratford Hills. We are still the only League to own two thrift stores! Realizing the importance of physical activity and participation in team sports, JLR started a new community program, Good Sports. This program brings area athletic teams and sporting activities to our community partner, Peter Paul Development Center, to teach children a variety of fun and challenging sports while modeling good character. It is still one of our most popular programs among participants as well as members! 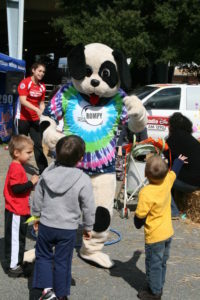 In 2010-2011, JLR began to transition its community programs to the East End of Richmond, as part of its strategic plan to increase its effectiveness in the Richmond area. A few years later, JLR began a new partnership with Richmond Promise Neighborhood, which supports residents of the East End. In addition, a partnership with Anna Julia Cooper Episcopal School was started to help teach kids about healthy eating – Kids in the Kitchen. This monthly program targets 7th grade girls in an attempt to prevent obesity and the associated health risks by empowering them to make healthy lifestyle choices. This, too, continues to be a popular community placement. Over the decades the JLR has gained a reputation as the creator of innovative programs that address community needs and develop them to the point that they can operate and support themselves independent of the League. Nowhere is this more evident than in the launch of the “Boots to Suits” program at The Clothes Rack. 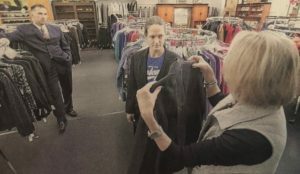 Sustainer Sue Farrell initiated this innovative program in 2014, which matches veterans coming out of military service with suits and other work clothes to ensure they have the right attire for the all-important job interview or first day on the job. Last year, as a result of the success of the program, it was spun off as its own non-profit. The Clothes Rack staff is still helping with outfitting the veterans. To date, over 300 veterans have been helped by this service! The League’s newest project is the Little Black Dress Initiative, which started in 2017. Leaguers storm the social media “airwaves” to bring awareness to how poverty affects the Richmond community. 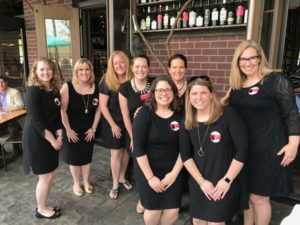 Advocates wear the same little black dress for 5 days in a row to highlight the lack of choices those in poverty face and raise money for a special community project. Over $60,000 has been raised for community initiatives through this innovative program! Although this is the end of Women’s History Month, this is not the end of our story! We should be proud of our rich heritage – the decades of accomplishments and meaningful impact on the Richmond community that we, and the women who shaped the JLR before us, have created. While we have a rich history, there is still much to be done. We know we are up to the task, just as the women before us and the ones to come after us. As a Leaguer put it in 2000, “This is why I joined the League! 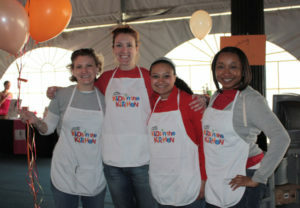 To roll up my sleeves and give back to the community.” Let’s keep the momentum going!